The Boho Scarecrow is more than one man. 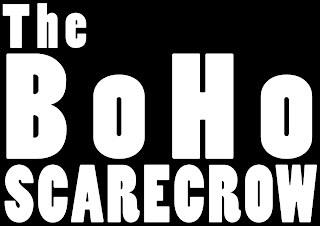 BoHo Scarecrow is an event and multi-media rock n roll project. BoHo Scarecrow uses film, light projections, situationism, theatre and art to compliment the visceral power of rock n roll. 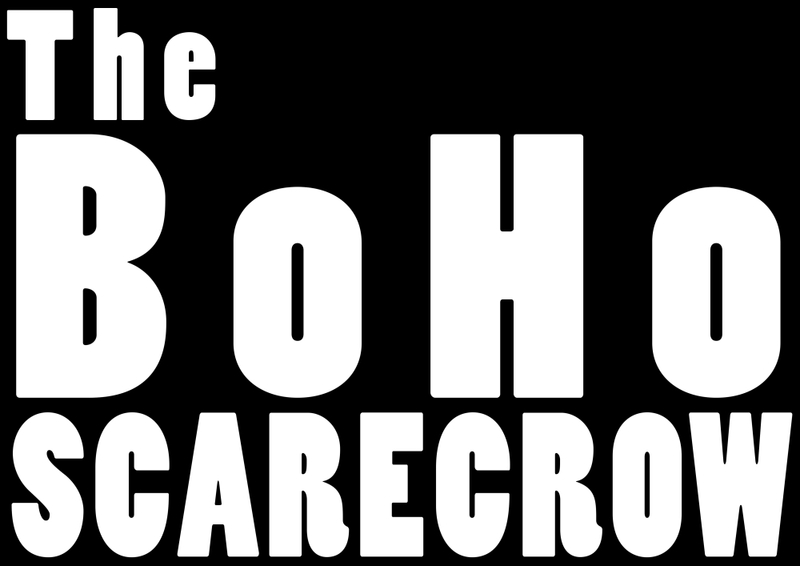 The BoHo Scarecrow invites musicians, artists, film makers, racounteurs and other assorted breeds of creatives to join. BoHo Scarecrow is intended to demonstrate that ROCK MUSIC IS A LOW FORM OF ENTERTAINMENT CAPABLE OF DELIVERING HIGH ART. The BoHo Scarecrow is a pin badge, a slogan and a response. BoHo Scarecrow's ambition is to deliver an environment in which Total Art can be conceptualised, formulated, executed and experienced. BoHo Scarecrow's anti-thesis is singularity. BoHo Scarecrow is open to engagement with all available economic systems as long as they enable the realisation of BoHo Scarecrow goals and don't screw either our brothers or our sisters. BoHo Scarecrow identifies art and music as a WEAPON for the catalysing of spiritual advancement through congregation and the exploration Inner-Space. BoHo Scarecrow hopes that love will conquer all. BoHo Scarecrow wants to love you, and hopes that you'll love BoHo Scarecrow too. The BoHo Scarecrow is flesh and blood.